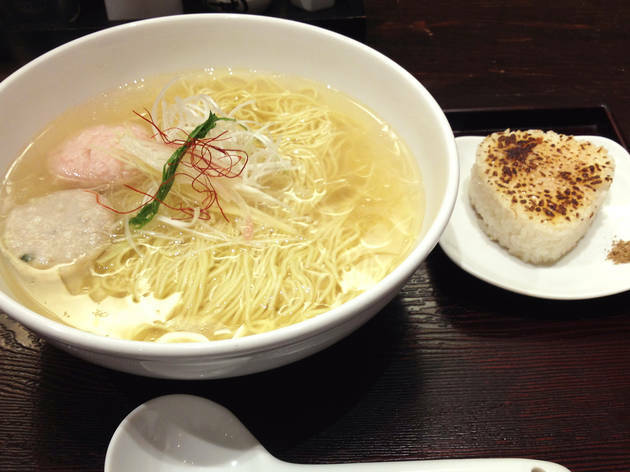 This shio ramen specialist is located just outside the southeast exit of Shinjuku Station. 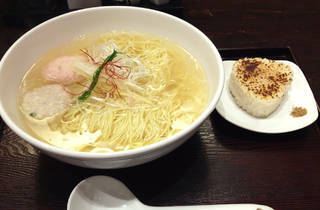 The menu centres on daily specials, offering soup stock made with five different types of fish. The lightly flavoured soup is topped with perfectly matched cod and prawn dumplings and chicken meatloaf, and also goes very well with condiments like spring onions, ginger, perilla leaves and shredded chilli. We recommend throwing in a grilled onigiri at the end for a delicious hodgepodge.